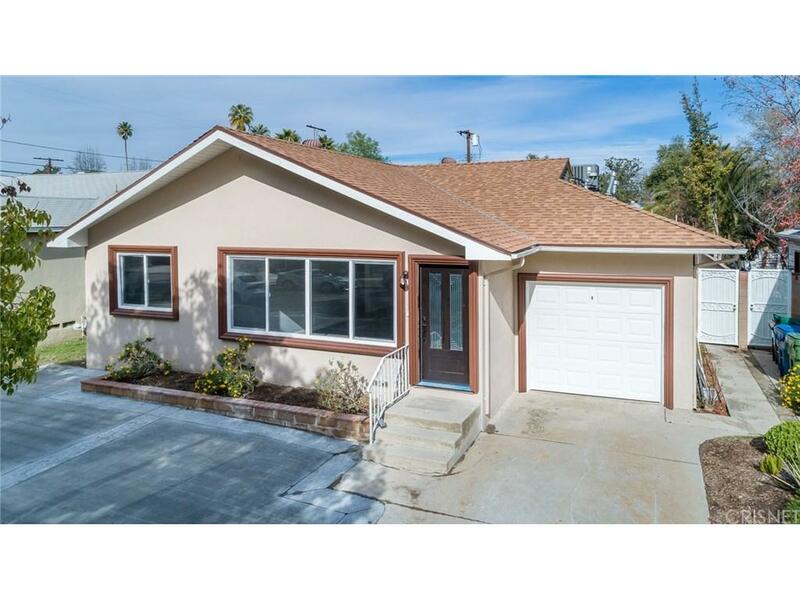 Beautiful Valley Glen home with a great curb appeal located on a tree lined cul de sac street that has been completely remodeled. This beautiful house offers 3 bedroom 2 bathroom 1898 sq ft with a 6650 sq ft lot. Property is located walking distance to local religious place of worship. Property has been remodeled with new roof, newer Air-condition, windows, new stucco, exterior & interior paint, flooring, moldings, crown moldings, recess lights, new kitchen with quartz counter tops, mosaic backsplash and stainless steel appliances, new bathrooms new concrete driveway and a large patio. Open and flowing floor plan features a gorgeous kitchen, living and dining room with a wood burning fireplace with natural stone, a large master bedroom, and large master bathroom with his and her sinks. Property has a huge open patio. Backyard has fruit trees and room for a pool.